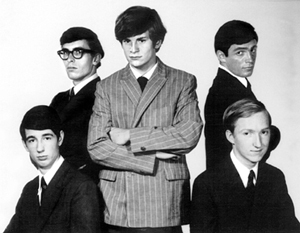 The Box Tops are an American rock band, formed in Memphis in 1967. They are best known for the hits “The Letter“, “Cry Like a Baby“, and “Soul Deep” and are considered a major blue-eyed soul group of the period. They performed a mixture of current soul music songs by artists such as James & Bobby Purify and Clifford Curry; pop tunes such as “A Whiter Shade of Pale” by Keith Reid, Gary Brooker, and Matthew Fisher of Procol Harum; and songs written by their producers, Dan Penn, Spooner Oldham, and Chips Moman. Vocalist Alex Chilton went on to front the power pop band Big Star and to launch a career as a solo artist, during which he occasionally performed songs he had sung with the Box Tops.